Product prices and availability are accurate as of 2019-04-11 20:06:39 EDT and are subject to change. Any price and availability information displayed on http://www.amazon.com/ at the time of purchase will apply to the purchase of this product. 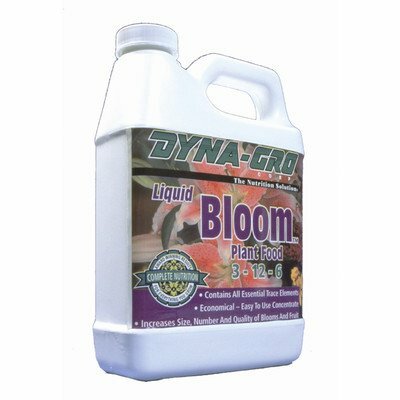 DYBLM500 Size: 5 Gallons Features: -Bloom plant food. -Low nitrogen, high phosphorus formula containing all 6 essential macronutrients and all 10 essential micronutrients that plants need. -Formulated to encourage development of large, vibrant blooms. -Ideal for roses, orchids, African violets and other flowering plants. Product Type: -Plant Food. Dimensions: Size 8 Ounces - Overall Product Weight: -1 Pounds.